Homenewscompare mortgage typesConventional Loans VS FHA: Which Is Right For Me? Conventional loans vs FHA, do you know which option is the best for you? Read this article to get all the information you need to make your choice. Buying a home is a complicated and often stressful process. Not only do you have to find the right home in your price range, but you also have to make a variety of choices about mortgages and financing. One choice is deciding between conventional loans vs FHA. Having the right kind of home loan can help you save money and qualify for the full amount you need. When you learn about conventional loans vs FHA, you’ll be able to understand what mortgage meets your needs. FHA loans and conventional loans have very different qualifying criteria, maximum loan amounts, and incentives. These differences can make it easy to choose between conventional loans vs FHA mortgages. When looking at conventional loans vs FHA, remember that conventional mortgages are what many people think of first when they consider a mortgage. A conventional loan is a no-frills, basic mortgage without many unique options. They use traditional and conservative guidelines for credit score, minimum down payments, and debt-to-income ratios. Banks generally take the full financial risk on a conventional loan, which is why these mortgages have higher requirements than FHA loans. At times, a conventional loan that conforms to Fannie Mae or Freddie Mac standards will be purchased from the bank by those agencies. These conforming loans are then off the books of the bank. Because of this, getting a conforming loan can be simpler than other times of conventional loans. A non-conforming loan is one that is above the maximum lending guidelines. In 2017, a conforming conventional loan can be for a maximum amount of $424,100. Conventional loans vs FHA have different available rates and terms. Conventional loans may have better interest rates because they are focused on top-tier borrowers. If you have an excellent credit score and appropriate down payment, you may find that you get far better interest rates with conventional loans vs FHA mortgages. With conventional loans, you only have to pay for mortgage insurance if you have a downpayment of less than 20%. 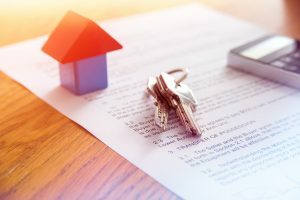 Contrary to common belief, you can get approved for a conventional mortgage without 20% down, but the terms are likely to be much less favorable. Of course, the interest rates and fees for conventional mortgages vary significantly based on the bank, so it’s vital to shop around. A conventional loan also has less stringent home appraisal and inspection requirements than other mortgages. This means that if you plan to buy a fixer-upper or renovation project, the conventional loan may be your only choice. The next step to understanding conventional loans vs FHA is to break down FHA mortgages. FHA loans are often easier to qualify for than conventional loans, but they also have strict provisions and often higher interest rates as a result. FHA loans have more liberal guidelines for credit score, debt-to-income ratios, and minimum down payments. In their 2016 annual report, the FHA reported an average borrower credit score of 680. The Federal Housing Administration (FHA) does not issue FHA mortgages, but it does insure them. This means that banks offering an FHA loan are taking far less risk than they would by providing a conventional loan. As a result, borrowers who might not qualify for a mortgage with conventional loans can qualify for FHA. It’s also possible that home buyers who got very high rate quotes under conventional mortgage terms can get more competitive rates with an FHA loan. Interest rates on FHA loans are unlikely to be as low as well-qualified conventional mortgages. However, because the government backs FHA mortgages, borrowers do receive competitive terms. With an FHA loan, every borrower has to pay for mortgage insurance, no matter how large the down payment is. FHA mortgage insurance has two parts: an upfront fee of 1.75 percent of the loan amount, and a monthly payment that is added to the loan payment. Borrowers can add the initial fee to the mortgage balance if they’d like. As with conventional loans, different lenders will have different interest rates, options, and limitations. Be sure to shop around to various banks and credit unions to get the best deal. Purchasing with an FHA mortgage means meeting specific appraisal requirements. Many times this influences the choice of a conventional loan vs FHA. For an FHA loan, you must have an assessment and inspection from a HUD-approved home appraiser. As you can see, using an FHA mortgage means that the home must pass inspection not only for financial value but health and safety as well. This may limit your choice of homes, especially if you were planning to buy a project home or fixer-upper. Each type of home mortgage has its pros and cons. Here are some questions that will help you decide between conventional loans vs FHA mortgages. Is the Home in Good Condition at Time of Sale? As mentioned above, you will likely not be able to get FHA approval for a home that is not currently habitable, safe, and comfortable. If you have a project or renovation home in mind, you will need a conventional mortgage. However, if you are confident your new home will pass appraisal and inspection, an FHA loan may be easier to qualify for as you search for your dream home. First-time homebuyers are often in a situation where they have a lower credit rating and less money saved for a down payment than other buyers. As a result, an FHA loan may be best. Those who already own a home will be able to use the equity they gain from the sale toward a new home, and are therefore likely to have at least 20% available for a down payment. For these buyers, they may be able to get more favorable terms and avoid mortgage insurance by using a conventional loan. If you spend a high percentage of your income on monthly debt obligations, you will want to consider an FHA loan. The FHA allows borrowers to use as much as 56% of their income on obligations that include the mortgage, credit cards, student loans, and car loans. On the other hand, if you have a debt-to-income ratio below 43%, you may want to look at conventional loans. You may be able to qualify for better rates, and you may be able to lower or avoid mortgage insurance fees as well. How Much of a Down Payment Do You Have Saved? If you don’t have much money saved for a down payment, you may struggle to get a conventional loan that works for you. Most conventional loans require at least 10% down, and while some may accept as little as 5%, you will end up with much higher interest rates and fees. With an FHA loan, you only need a down payment of 3.5% to move forward with your home purchase. Even if you have the money saved for a larger down payment, you might find it useful to choose an FHA loan, make a smaller down payment, and save the money for another purpose. Conventional loans vs FHA loans have quite a difference in what credit scores they expect. It’s vital to check your credit report before you apply for a loan. If your credit score is below 700, you may have trouble getting approved by the bank for a conventional loan. Even if the bank approves you, you also need approval from the mortgage insurance company if your down payment is less than 20%. If this second approval is denied, the whole mortgage falls through. However, if you have a credit score of 720 or above, you may find it easier to go with a conventional loan. The FHA loan may not offer the interest rates you can achieve on a conventional mortgage with your excellent credit. The minimum FHA credit score is 500, although many banks will look for 640 to approve an FHA loan. The approval process is often easier as well, even compared to a conventional loan with a higher credit score. If you’ve had financial difficulty in the past, you may find it easier to qualify for an FHA loan rather than a conventional mortgage. You will still have to wait a couple of years, but conventional mortgage approval tends to require a longer gap between the negative event and loan approval. In both cases, however, you will face higher interest rates and more fees with adverse financial activity. Conventional loans vs FHA will still have different terms, so be sure you review your options. A conventional mortgage can be ideal for those with excellent credit and a lot saved for a down payment. But that doesn’t mean that if you aren’t in that situation, you can’t buy a home. FHA loans give you a lot more flexibility regarding approval, although they do have higher fees and strict home inspection standards. If you’re in the market for a Florida mortgage, we’d love to help. At New Florida Mortgage, we offer responsive and knowledgeable mortgage service from experts in the local area. For more information, contact us today!